The Black Dove, Brighton & Hove, BN2 1PA. The Black Dove pub review, map and rating. 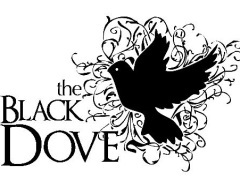 Looking for a Hotel near The Black Dove? The best ciders in town, cunning cocktail list, beers from all ove the globe and friendly staff. We all had a top night at this top notch bar. Little creature pale ale and the mc martini are on my hit list. Music, staff, booze all spot on. Well worth a visit!